Do you ever feel like you just don’t have it together? Are you disorganized and undisciplined? 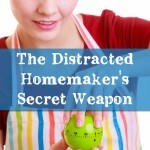 Are you ever regretful when your husband comes home because you haven’t used your time wisely that day? Do you snap at your kids and speak unkind words to your husband? Do you think back over the day disappointed with yourself because you know you should have acted differently in the area of __________(you fill in the blank)? 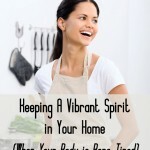 Do you ever just wish you were better at this homemaking thing? You’re not alone. 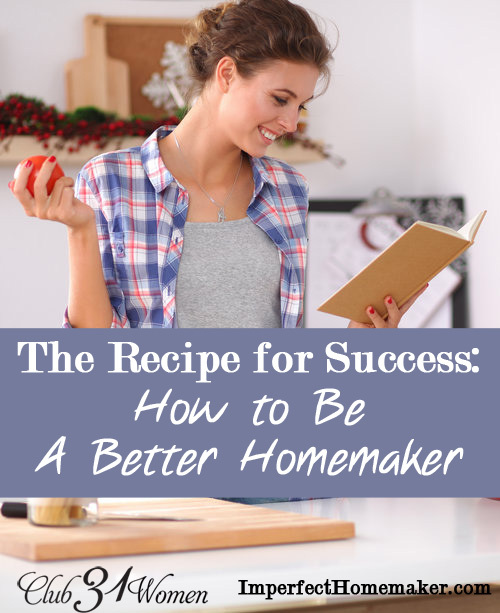 We all want to be better homemakers! 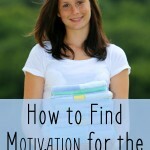 That’s why we read blogs like Club31Women that will encourage us and give us helpful advice, right? But I think sometimes we’re a little too quick to run to our favorite blogger or website. We expect the writing of a human to meet our needs. If you’re struggling with certain areas in your life that you know need to change, may I encourage you to turn to the ONLY words that can change your life? Turn to the Bible. I’m not discouraging you from reading content that’s Biblically-based. That’s a good thing. But please don’t allow it to replace the Word of God in your life. God’s Words are the only ones written by a perfect Author. They are the only ones that can act as a mirror, revealing what’s in your heart. The only ones that can act as a sword, cutting out those hidden parts of your life that need to be removed. The only ones that act as a light, to guide you when you know you need to change but aren’t quite sure how. If you choose the writings of only one person to read, study, and follow, let it be the words of God. Seek God’s face and rely on Him to be the woman He wants you to be. *Would you like to share a favorite Bible verse in the comments below? If you are feeling like a failure, take a good look as ask if you are looking to your own works to justify you and not to Christ. I very much agree! We love our Lisa blog and others…but we also tend to get distracted and maybe scoot out of taking time with Him! Seek Him first and the rest will be added to you. Matthew 6:33New King James Version (NKJV) 33 But seek first the kingdom of God and His righteousness, and all these things shall be added to you. MaryEllen, thank you for encouraging us to get back into the Bible for our inspiration and not relying on other people (or blogs). May God bless you! You are welcome! I love reading blogs, but I am burdened for women who allow them replace the word of God in their lives.